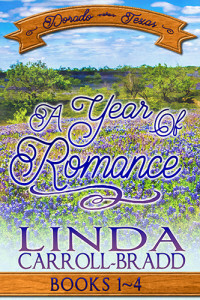 Attending a party with Braden’s family lets her glimpse what she’s been missing. 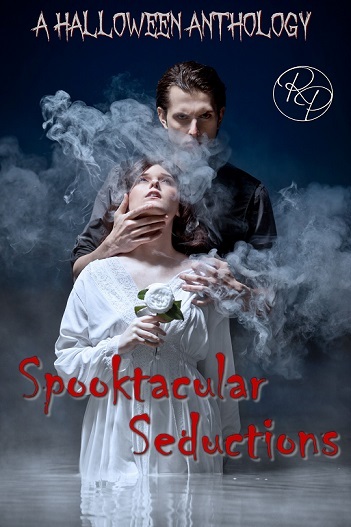 An unexpected discovery before her date with Braden at the Halloween Midnight Organ Recital forces a decision. 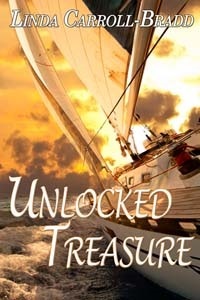 Will Aleen play things safe or accept what this free-spirited man offers? Widow Vevina Bernhard sees mysterious lights at night and believes her Texas ranch Shady Oaks is haunted. She needs protection for herself and her 4-year old son but the town’s sheriff offers no help. 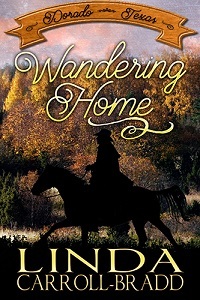 On hiatus from his Texas Ranger duties, Kell Hawksen hires on as a farrier at the ranch while keeping an eye out for clues to a stagecoach robber in hopes of collecting the bounty. 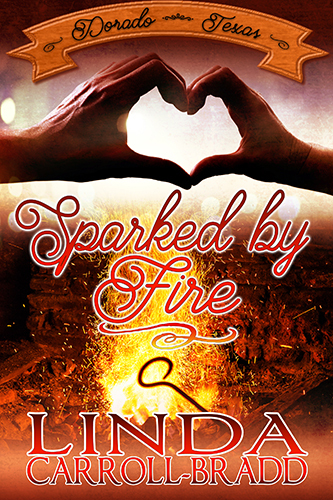 On Samhain, fire erupts and Vevina and Kell battle both the danger and the depth of their feelings. Unlocked Treasure also appears verbatim in Hauntings In The Garden, Vol 2, a 4-author anthology of mixed genre Halloween-related stories. 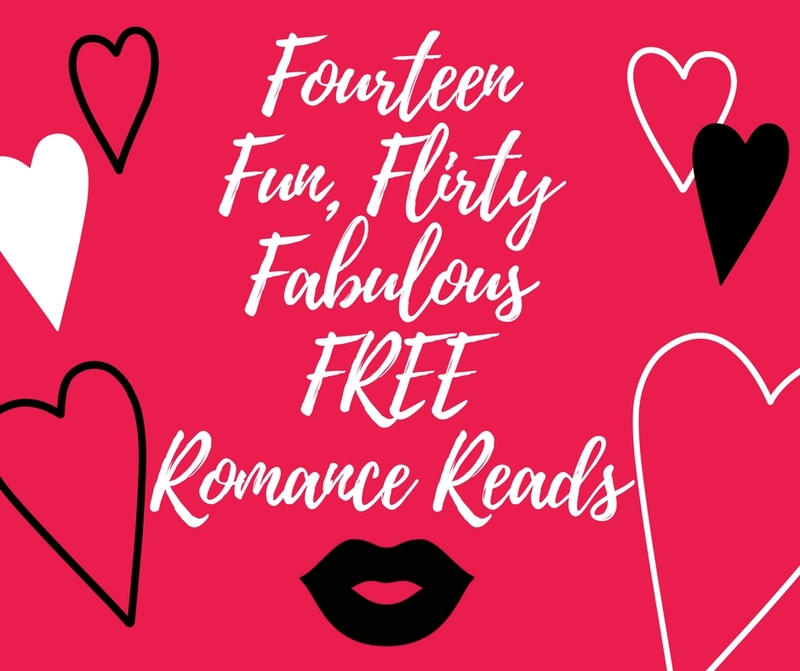 Romances are perfect for Valentine’s Day because the stories are always about how two people come together after overcoming their differences or compromising on conflicting goals because the love they have for one another is stronger. A story in my backlist perfect for a Valentine’s Day read is When Lonely Hearts Meet, Book 2 in the “Sugar & Spice Bakery” series. Rancher Wade Pallaton comes to the rescue of an attractive woman in distress…in the paint aisle of a home improvement store. 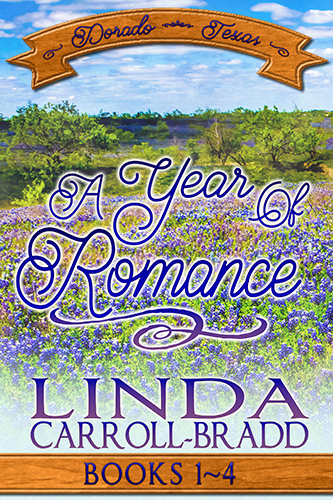 One look sparks his interest, one he thought had died a decade earlier. Divorce made them gun shy about relationships but can Lasso-A-Heart online dating emails entice them to reveal the secrets of their lonely hearts? Just in time for Black Friday…steal away to when times were easier. Or maybe not. “I placed an ad in a newsletter called the Grooms’ Gazette. Months ago on a business trip, I saw a similar publication in Phoenix.” Plus he’d overheard a recent conversation at the Cabinet Saloon about a rancher out in Chino Valley who was quite happy with the wife he’d acquired this way. Just like his sister to go all dewy-eyed. He guessed mail-order was the appropriate term, but he didn’t like it much. Dell unfolded the telegraph office stationery that by now had well-worn creases. Hoping to make her words flow better, he omitted the ‘stops’ at the end of each sentence. He paused and glanced up to see if anyone would comment on that statement. This first line was his very favorite. “Australia? I thought you said she’s from Boston.” Skip pointed an accusing finger. “I’m reading what the lady in question wrote.” Dell shook the paper. “Let me finish.” Then he glanced down to find his place. Aware of tightness invading his shoulders, Dell flexed them before lowering the paper to the table and waited. “Now, I’ll get the pie and coffee.” Hazel reached for Skip’s plate and stacked it on top of hers as she stood. Her lips pinched tight, and she studied Dell for a long moment before turning away. “Mama, I’ll help.” Maida shot to her feet, cleared Dell’s plate, and reached for the bowl of carrots. “No one says another word until we return.” Then she scurried toward the kitchen. Good. Dell needed time to think. He knew while the women were absent, none of the men would exchange a single word. 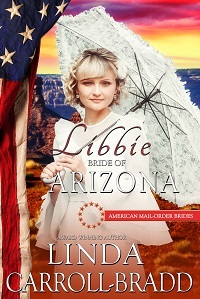 As he’d read Libbie’s words aloud, he suddenly realized how very few details she’d included. In his ad, he’d requested an experienced cook and housekeeper, but Libbie mentioned neither of those skills. Nor had she described what about her circumstances had changed. Why hadn’t he noticed these omissions before? 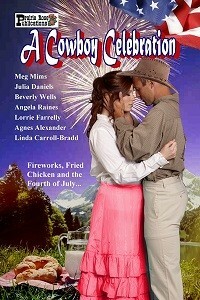 Since hers was the only response he’d received, he’d counted himself lucky that she understood a rancher’s life. Maybe he’d been too hasty. 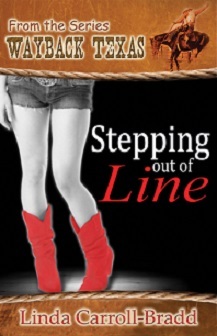 Meet Roxie, the heroine of Stepping Out Of Line, a contemporary western romance that’s one of my backlist titles. My birth name was Liberty Star Nolan but I got used to Roxie Starr, the stage name I used for a decade as a Las Vegas showgirl, and that’s what I still go by. This small town in northern Texas named Wayback. Daddy lit out ages ago, chasing his rodeo dream. Mama Argie lives in the family house with my younger sister, Felicity, and my aunties Branwyn and Clarine. A whole lot of estrogen under one roof. Nope, I couldn’t wait to see the city fade in my rearview mirror as soon as I graduated high school. I headed for Los Angeles because I knew I would be the next go-to actress.Turns out getting this Texas twang out of my voice was harder work than I’d imagined. Being athletic became my profession when I started as a dancer in a chorus line in Vegas. Now I do yoga and love to swim in the summer. I love watching ice dancing in the Olympics. Did you always want to be a beautician? Never had a thought about it until I’d been performing for several years. Then I realized I needed to learn skills that I could use after my body gave out. While in Vegas, I learned tips and styles from so many dancer and performer friends that opening a beauty salon seemed like a natural second career. What do you like most about being a beautician? Helping customers gain a style that boosts their self-confidence. I have a soft spot in my heart for dogs of all kinds, especially strays. Where did you go for your most recent vacation? Being a small-business owner doesn’t allow for many vacations but I did manage to attend the last ballroom dance championship. [shrugs] What can I say? Dancing’s in my blood. Now that I’ve seen the glitz and glamour of Vegas, I appreciate the specialness of laid-back events like the town’s Founder Day celebration, the lighting of the town square Christmas tree or the Fourth of July fireworks. What attracts you first to a man? His smile. And filling out a set of Wranglers just right doesn’t hurt. Are you talking about a particular man? Two years ago Roxie Starr left behind her life as a Vegas showgirl and came home to Wayback, Texas to open a styling salon. She claims she’s there to help with her younger sister, but the truth is age was catching up to her body and the time had come to step out of the chorus line. Fighting against a nagging injury, Dev Laredo is determined to finish one last rodeo. He won’t return to his Oklahoma ranch until he’s won enough to cover his brother’s college tuition. The sight of a sassy redhead sparks his interest, but her tender ministrations to his injury touch his lonely heart. 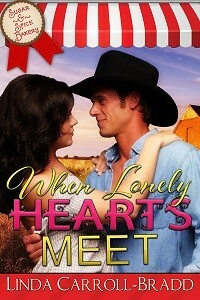 Can two bruised souls put aside their differences and give love a fighting chance? I don’t know exactly what draws me to dance scenes except that they are often the most sensual aspect of a sweet romance story. Here is an excerpt from a release from five years ago, Stepping Out Of Line, which was included as a title in the Wayback, Texas series released by The Wild Rose Press. She ducked her head then took a deep breath. 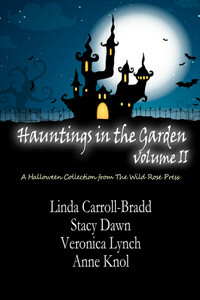 Dev would have sworn he saw a flash of white teeth before her red hair swung forward and hid her face. Well, all right. The lady wasn’t immune to his manner—or his attention. Not so fast. Dev reached out a hand and covered hers. “Hey, don’t go.” Beneath his rough palm, her fingers were warm and soft. He couldn’t resist running a thumb along the top of her pinky. The first notes of a familiar Bob Seger song sounded from the jukebox. “What can I say?” Dev moved close and slid an arm around her waist, urging her forward. “My grandma was a stickler for manners.” Within a few steps, he stopped and held out his free hand, palm up. If this little bit has sparked your interest in this contemporary rodeo story, please follow the link and add this to your “Want To Read” list on Goodreads.